This is a hearty appetizer that is traditional for the Passover (or any Jewish holiday, really). It is my version of “mock chopped liver,” made with lentils, toasted walnuts, and caramelized onions. Lentils are full of protein and the walnuts are full of Omega-3 fatty acids. Serve it with crackers or matzo for a great snack anytime. My father requests this every time we have a family party! And that is a high compliment coming from my dad! Preheat the oven to 350. Place the walnuts on a baking sheet and toast them for 5 to 7 minutes. Make sure you don’t forget about them; they can burn easily! Place 1 cup of lentils in a pot with 2 cups of water. Bring to a boil and reduce heat and let simmer until the lentils are tender. Heat oil in a medium skillet and caramelize the onions. Take your time to do this, let it go on a medium heat and stir occasionally to bring out the sweetness of the onions. Combine the onions, lentils, and walnuts in the bowl of food processor. Add salt and pepper. Process until smooth, scraping down sides as needed. Taste and adjust seasoning. Store in refrigerator and bring to room temperature before serving. 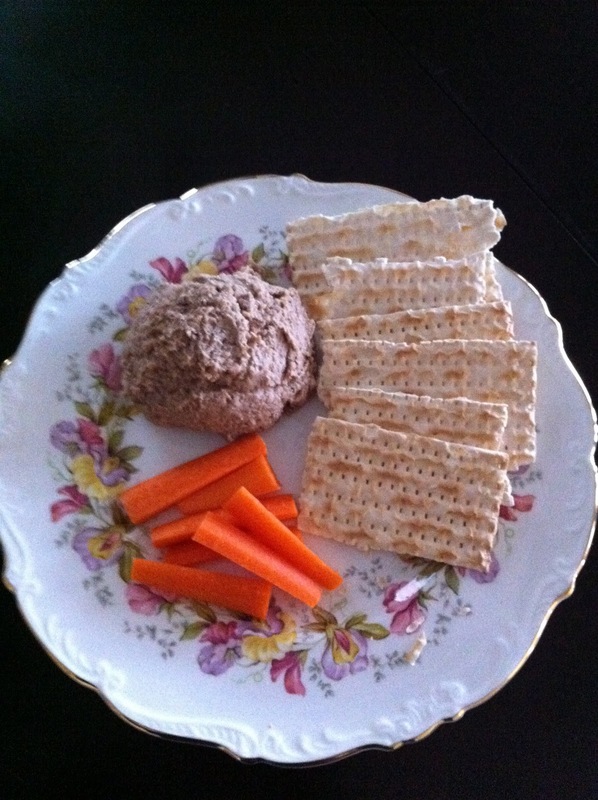 Serve with matzo and carrots for an appetizer or add it your main course offering. Enjoy!